Latest update of the helicopter that had disappeared from the radar on 25/06/2016 mentioned that the searchers allegedly smelt gasoline. But the rescue teams had to retreat from a monsoon storm before they could get any closer. The search would begin again tomorrow. THE DEFENCE Ministry has said it plans to purchase new helicopters, following the latest chopper crash that killed a crew of three at Khao Chamao Khao Wong National Park. 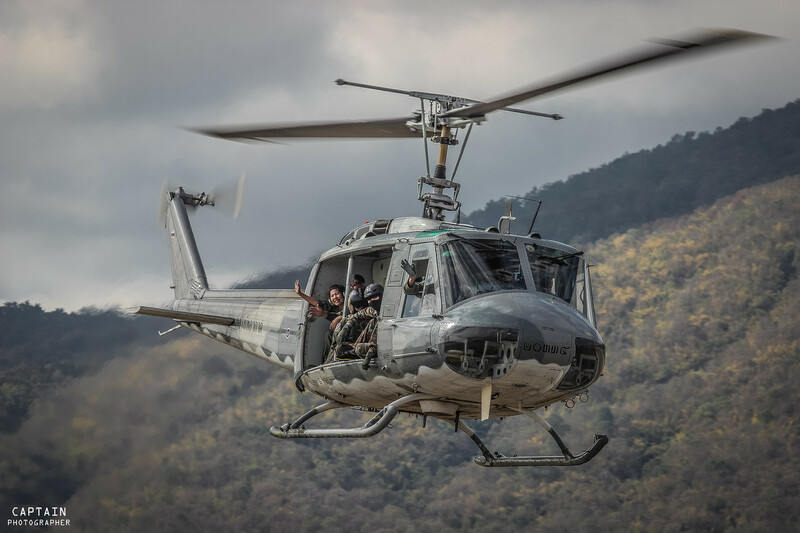 The bodies of the three crew-members were found yesterday amid the wreckage of an old Air Force UH-1H Huey about 500 metres north of an Air Force radar station on the mountain slope in Chanthaburi. The bodies were retrieved from the crash site and transported by aircraft to Don Mueang Airport for funerals. The three crewmembers were Squadron Leader Pasit Techasen, Flight Lt Alongkorn Chankrachan and Flight Sgt 1st Class Visut Putthraksa. There were all rewarded with promotions, insignia and compensation for their families. Heads of the Army and Air Force sent their condolences to families of the officers killed in the crash. General Prawit Wongsuwan, Deputy Prime Minister and Defence Minister, expressed his sympathy to families of the crew and said the Air Force had plan to buy new helicopters to replace the old ones. 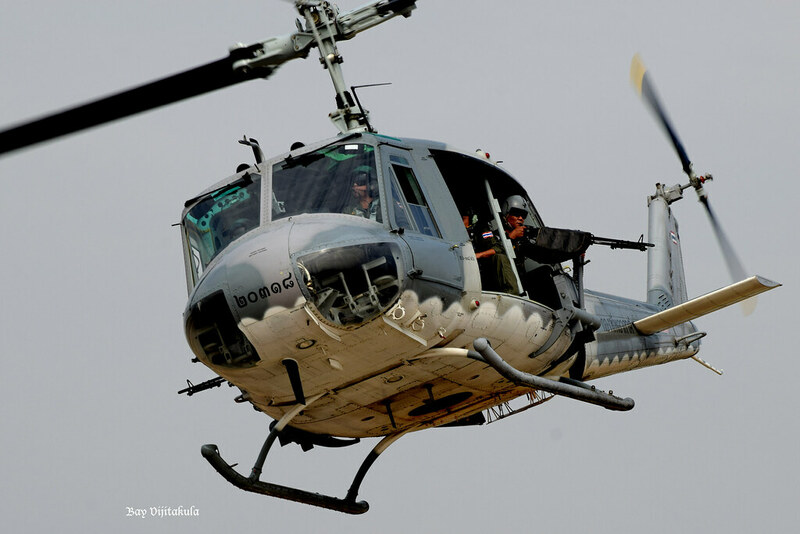 “The helicopter that crashed was a UH-1H Huey, which we have used for around 40 years but given the long period on duty, there must be replacements for our air squadron,” Prawit said. So, he said the Army would put this plan to Cabinet, before a deal can start, the plan must pass consideration first. “There are always protests about corruption, every time the Army plans to buy weapons. Indeed, when we purchase new arms, we do it on state-to-state trade and there is no corruption in our arm dealing process,” he ensured. Directorate of Air Operations Control commander ACM Sutthipong Inseeyong said the search teams had found the remains of two helicopter pilots and one mechanic, along with the helicopter debris in the middle of dense forest 500 metres north the Air Force radar station. mountain and transferred to Don Mueang by air. promote them, and compensate their families. Squadron Leader Pasit would be made an Air Marshall and his family would receive Bt3 million in compensation. Flight Lt Alongkorn would be made a Group Captain and his family will receive Bt2.5 million. Flight Sgt 1st Class Visut would be made an Air Vice Marshall and his family will get Bt2.76 million. They will also get an insignia to honour their death on duty. This entry was posted in Uncategorized on June 27, 2016 by nonothai.